Good location and a decent enough selection of ales including an oyster stout from the Hammerton brewery. Sadly, Greene King have their mitts on the corporate control so it's very workaday otherwise with bright lighting and an after work crowd.Bloomsbury is no mecca for pubs and is probably slightly above average for the area - although the Queen's Larder down the ginnel is superior. Decent backstreet boozer feel. Range of ales - nice to see Young's London Stout outside of a Young's pub. Compact interior and friendly bar staff. Not a spectacular find but a nice pub nonetheless. A friendly back street pub with a local feel to it. A good range of beers. Two ales from Hackney (Red and Best), Truman Budburst, Hop Stuff Pale Ale, Hamerton N1, Westerham 1730, St. Austell's Tribute and the ubiquitous London Pride. A comfortable place with a TV in the corner which was silent with subtitles. I didn't eat in the pub but plenty of people were tucking in so they must be doing something right. One downer was the price- £4.16! I can't speak for the Ladies but beware of the step just inside the door of the Gents! 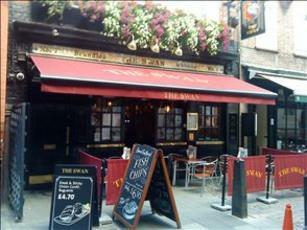 I popped in to tick this one bar pub on a Thursday afternoon. Around a dozen people inside and out during my January visit. A good selection of keg ales and lagers as well as the cask selections. From 8 cask hand pumps I choose London Fields Brewery Texan Tea @ 6.0%, a very strong black IPA but not as strong as the price...£5.00 a pint!!! 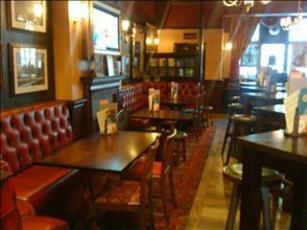 A Taylor Walker owned and managed pub with a good variety of ales. 4 of the ales from Hackney Brewery & London Fields Brewery. Attractive lamps hanging above the bar, not that many more original features that I could see. Appears in the 2015 GBG. Decent pub but I've ticked it now so probably no need to return. 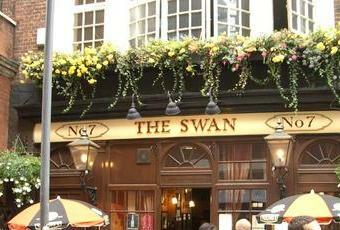 It's a decent but nothing special pub a little off the beaten track of central London. The beer's good, they have a decent choice and you can usually get a seat. There's better nearby but also a lot worse.